Magnolia Avenue is no longer just food and drink, it’s quickly becoming the local hang out. Now offering live music venues, great patio options, and new shopping. Strolling down W. Magnolia has never been better! There is so much to see, eat, and drink that Magnolia needs to be a weekend trip! Staying at The Texas White House Bed and Breakfast solves this problem because you are walking distance to over 30 restaurants, coffee shops, ice cream, and bars and more. Ellerbe Fine Foods selects the freshest seasonal and local ingredients to create an elegant, innovative menu of upscale market fare to be enjoyed in the dining rooms or on the patio. Heim BBQ Traditional Texas Style Barbecue, the slow and low process of creating tender savory smoked meats that let the flavor speak for itself…their menu also speaks for itself but their mac and cheese…now that will leave ya speechless! Melt serves happy ice cream. They believe treats can change your day and your day can change the world. We love that and them! 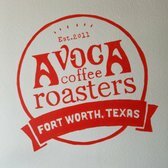 Their menu changes with the season, but they have a few “always” flavors like a cup of Texas, partnering with Avoca to bring you coffee ice cream, yes please! Avoca Coffee. Their roaster hand crafts their beans so their baristas can use their skills to create delicious beverages for you and believe us they are delicious! Fixture Food doesn’t have to be expensive to be great, nor does it require a white table cloth. Fixture believes real food is king, so staying away from processed or lab-created ingredients is important to them. All that food may leave you thirsty, not to worry there are plenty of places to stop in for a drink during your stroll. The only way to experience all the fun is to stay at The Texas White House Bed and Breakfast, W Magnolia is a quick two block walk. The B&B offers six rooms, lavish gardens, a huge wrap around front porch, gazebo, pergola, and delicious chef breakfasts each morning book your getaway now.